In this article I’m going to look at the 5 Best VPNs for use in France. In today’s world the need to secure your internet connection and access content that is restricted has grown ever greater. Many western societies including France have begun to implement restrictions on what we can and cannot do online and with the threat of hackers and other nefarious types growing ever bigger the need to use a VPN in France increases. There are plenty of good VPN services but with the expansion of VPN use there are also some providers who aren’t value for money and should be avoided. In this article I’m going to look at the providers who are better suited for use in France that will not only save you money but also give the best speeds when used in France to safeguard your privacy. 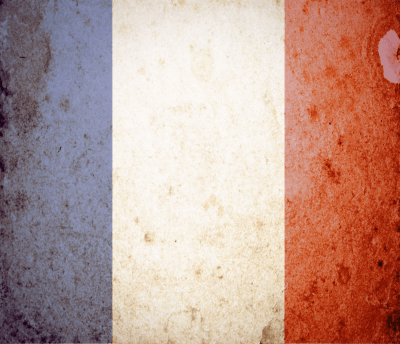 So without further ado let’s take a look at the 5 Best VPNs for use in France. Every bordering country has a server. Software & Apps for all main systems. If you’re looking for a VPN to use in France then IPVanish is the best choice. Not only do they have a selection of servers within France itself but they also have servers in every country that borders France. If speed is important and you want to access the internet outside France then options in Belgium, Luxembourg, Germany, Switzerland, Italy and Spain will satisfy that need. Such a range of local servers gives those in the market for a French VPN plenty of choice for access points. If you want to go slightly further afield but stay somewhat close then the United Kingdom, Netherlands, Portugal and Austria make good choices and are available via IPVanish. Protecting your connection across your range of devices is important and IPVanish offer software for Windows and Mac systems and also apps for Android and iOS. This allows you to protect both your desktop or laptop and your mobile device. If you connect to public Wi-Fi then protecting your phone or tablet is essential to stop hackers from stealing your private details. When taking a Yearly VPN package for France IPVanish is one of the cheapest providers at just US$6.49 per month and not much more if you opt to pay monthly. With such a wide range of local servers and servers at distance to allow you to access geo-restricted content from the US and elsewhere. The exceptionally fast speeds achieved in our monthly speed tests and the low price makes IPVanish my number one choice VPN provider for use in France. Huge range of servers worldwide. Complete 30-day money back guarantee. A little pricey compared to others. If IPVanish doesn’t fit the bill for you then ExpressVPN may make an ideal choice. Although they are slightly more expensive they do have an equally good selection of servers. ExpressVPN has over 78 worldwide servers making them one of the biggest VPN providers in terms of locations worldwide. Users in France are well covered with a server inside France itself and also one in each country that borders France. In terms of speed this offers an excellent solution. Torrent users can tunnel into more torrent friendly countries such as the Netherlands and download risk-free should a similar law to the “Haute Autorité pour la Diffusion des œuvres et la Protection des droits d’auteur sur Internet” resurface in the future. If you’re after tunnelling out of the EU then Switzerland, Norway and Iceland make ideal solutions all of which are available on the ExpressVPN service. Like IPVanish, ExpressVPN has software for Windows and Mac and apps for Android and iOS meaning each device you own is secure and protected. With a 30-Day money back guarantee it allows you to test the service and if it isn’t suitable for your needs receive a full refund. One of the only providers who offers a free trial. Own all their own servers. Slower than some other providers. If the above two providers don’t fit the bill for you then my third place choice is VyprVPN. VyprVPN is a highly privacy orientated company who focus on privacy related topics and champion an open and free internet. As one of the largest VPN providers they own and operate all their hardware. While some smaller VPN providers rent servers, VyprVPN is one of few who own the hardware for their server base. As with the above providers VyprVPN have servers in every country that borders France making them an ideal solution and also have other servers located across Europe. As well as covering Europe they have access points worldwide with the US, Canada and Australia covered for those in France who want to access geo-restricted services or access services such as US Netflix. One downside is the basic VyprVPN package is only suitable for bypassing geo-restrictions as it doesn’t feature the full set of VPN protocols and so if you’re after protecting your browsing you’ll need to opt for their middle tier “Pro” package. This makes their service slightly more expensive than our first place provider IPVanish but the price can be brought down slightly if you sign up for a year. VPN Software for Windows and Mac is available with VPN apps for Android and iOS meaning like the other providers you can protect your internet connection across all devices. With a 3 day free trial after entering payment details VyprVPN allow you to try the service and if you’re unhappy then you can cancel before the 3 days are up and you won’t be charged. Generally one of the fastest providers. Not as many servers as other providers. If none of the three providers above suit your taste then LiquidVPN make a good 4th option for a VPN package in France. While they don’t currently have a server in France itself they do have some local servers based in Netherlands, Germany and Switzerland and further afield in Europe in the United Kingdom and Romania which would also be suitable for those based in France. LiquidVPN currently has software for Windows and Mac and recently released an Android client. An iOS client is planned for the future but isn’t currently available. LiquidVPN regularly comes out on top in our monthly server speed tests and their network I’ve found overall to be fast and one of the most reliable. Although LiquidVPN doesn’t have a server in France they are one of the cheaper providers and when taking a yearly package they can be as cheap as US$4.50. So if you can live without a server in France and you don’t require an iOS app then they may be worth considering. Yearly package works out cheap. VPN.ac are a good choice for those in France who really value their privacy and security. Their custom software for desktop systems gives extra encryption modes that aren’t found at most providers so if you’re looking for a more in-depth option then VPN.ac would be a good choice. VPN.ac although a smaller provider does offer a server in France and with surrounding servers in the United Kingdom, Netherlands, Switzerland, Luxembourg and Germany plus the addition of servers in Sweden and Romania there is a big selection for French based users. Software for Windows and Mac is available with an app for Android devices meaning both your desktop and laptop plus your phone and tablet if Android are fully covered and easy to get protected. VPN.ac are one of the cheapest providers if taking a yearly package working out at just US$4.83 per month. If you’re looking for a provider who cares about privacy that is a good option for France and you don’t fancy any of the providers above then certainly check out VPN.ac. I hope you’ve found some useful information in my 5 Best VPNs for use in France guide and that it helps you select a provider you’re ultimately happy with. Like all services or products feel free to do some more research. A good starting point is by visiting the websites above and having a look around their websites to see if what they offer suits your needs. While all 5 providers are suitable for France and my top choice would be IPVanish some may offer slight differences that could benefit your specific usage scenario. If you’re still unsure then you won’t go wrong signing up to IPVanish as they cover a multitude of needs and make a great choice for use in France.